This Marfione Custom Troodon automatic knife features a Hellhound Tanto blade made from Bohler M390 stainless steel with a mirror polished finish. 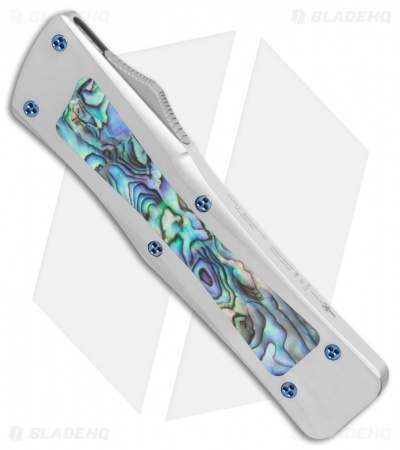 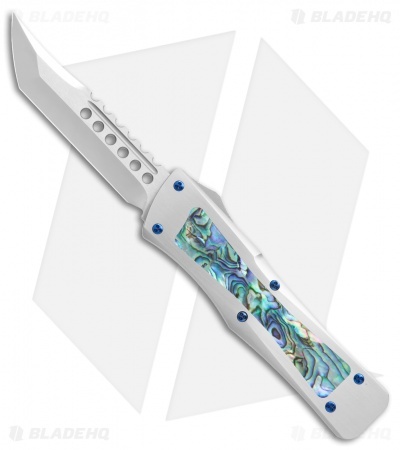 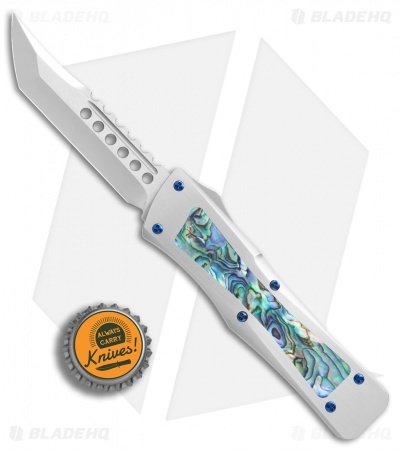 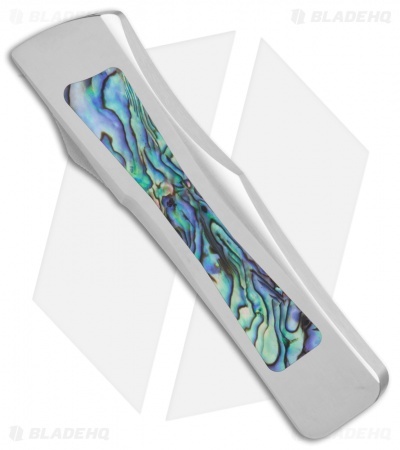 It has a hand rubbed stainless steel handle with Abalone inlays and blue anodized titanium hardware. The model, date, and Marfione Dagger are found on the handle. Includes a certificate of authenticity. Payment plansare available for this item. Please contact us for details.